What Brexit means for your property investing business? Beth asked me this morning: What is going to happen to property investors post-Brexit? What is Brexit going to mean for your property investments? The answer I gave to her straightaway of the cup, was, I’ve got absolutely, no idea. My answer wouldn’t have been any different in 2008. If I’ve had been old enough, and conscious, it probably wouldn’t have been any different in the previous recession of the late ‘80s. Why is that? Well, the main sort of consequence of Brexit, is that, there’s going to be lots and lots of changes in terms of trade, in terms of our relationship with the European Union, in terms of rules around lending and general legislative framework, that we all follow in the UK. This is got to be the biggest project that the Government has undertaken since the Second World War. So, this is absolutely, massive in terms of the raft of sort of new papers, Acts and the linkages between all the institutions that we use every day, the changes that going to come about. That’s said, it doesn’t mean that I’d stop investing in property. It doesn’t mean, that I’m sort of just sitting on my hands like, lots of other people are doing. I’d explain to you why. Generally speaking, residential property investors are better insulated against market changes than probably commercial, and definitely than standard trading businesses. It might be retail. It might be service-based industries. Businesses like ours, where we’re offering training products. Why is that? Well, the main pretext here, is that, people need somewhere to live. People need a home to live in. There are 70 million people in this country. Those people aren’t suddenly going to disappear, and go and live somewhere else. I know there are some people who’d been saying, well, when Brexit comes a long, all these Europeans are suddenly going to go home. Well, some of them may go home. But I think the reality, is that, most of them will stay. Maybe, less will come over. I suspect they’re still going to be some elements of free movement of people. I know Theresa May and some of her friends, maybe not Boris especially, after his comments this weekend at The Sunday Times, have said that immigration, or some form of immigration will continue. It might not be uncontrolled immigration. But they’re going to have to let lots of people come in, to staff those service industries and manufacturing as well, because there aren’t enough people in this country, that want to do that kind of work. So, that’s got to continue to keep the economy growing. People also need somewhere to live. There is still a significant housing shortage, or gap between the supply and the number of new households being formed every year in this country. We still have about 100,000 short every year of new completions. That’s to say that, there are around 100,000 less properties being built every year than it’s needed to keep up with demand currently. Because of that, the sort of supply and demand imbalance will mean that generally speaking, prices will rise. You’d probably have seen especially, since the Brexit period, and especially, since all the tax changes that have taken place against landlords in the last 2 or 3 years, rent has risen significantly. I know RICS are saying that rents are going to go up 10-15 percent over the next year rate, or 18 months. We’ve seen very significant rental growth in Peterborough, well in excess of 25 percent in 3 years. It sounds crazy, but that’s what happened, just because less properties are coming on the market. There’s more uncertainty. Less landlords are buying. Obviously, the tax changes have impacted that as well. Whenever you go through these periods, there will be sort of less people buying properties, and there is more negativity in the media. Lots of people will translate that, or lots of investors will translate that to mean, well, that means I shouldn’t be buying property, because everybody else isn’t buying, or everybody else isn’t that positive. I would often sort of decode that, and take it to meant that actually, I should be buying, and maybe, I should be negotiating harder finding deals, because the market has gone soft. The property market in Peterborough, in the Midlands, definitely in most areas of London and Greater London, has gone soft. In fact, around Greater London, it’s probably been dropping. Let’s say it’s dropped 15-20 percent especially, in those more central areas of London since this whole Brexit issues started. I suspect the market will continue to be soft until we get certainty. Does that mean we’re going to amazing deal from the EU? Not necessarily. Are they suddenly going to give us this utopic deal, which Jacob Rees-Mogg, or I don’t know, BoJo, or even Theresa May, with the sort of Chequers Plan want, expect, or telling us we’re going to get. Well, probably not. But I’m not really sure any of that is really going to change that much. I think all we need is certainty. I think all the people need to know, is, we’re sort of in this thing, or we’re not in this thing. This is what it’s going to mean for trade. This is therefore, what is going to mean for economic growth. This is what is, therefore, going to mean to my job. This is what it’s going to mean to my income. This is how secure I’m going to be over the next year to 5 years. For businesses, if they know that they can get goods in at a certain price, or the amount of duty that they’re going to have to pay on those goods, or the amount of friction they’re going to encounter, when bringing those goods over the border, and it’s certain, if they have certainty around those costs and those challenges, I think that will release the break that is currently, being applied to the market. Once that break gets removed from the market, I think it’s really going to start going again. So, we’re not necessarily craving some kind of amazing free trade deal or some kind of amazing gift from the EU. It’s just certainty. Once businesses know they’ve got that certainty, and they start pumping into new projects. They start buying new buildings. They start investing in factories. They start employing staff in a greater way. That is what then creates growth. That’s not to say that the economy isn’t growing, because it is growing. We’re still 1.5 percent growth every year. It’s much better than in 2010. But it’s just that, if we look at our European cousins, they’re probably growing 1 percent more every year, because they’re not subject to all this uncertainty, which Brexit has clearly caused. Clearly, the market’s gone soft. Clearly, it’s going to continue to be soft. Will this be sorted by next March or this coming March, and who knows, if it is, or there’s some sort of certainty? I suspect you can see a big whoosh, a little bit like, we saw in London 2010. Maybe, more in areas like, Peterborough, and the Midlands, and the North, maybe towards 2012/2013 onwards. There was a big release of pent-up investment money, which had been sitting there, waiting to be allocated, because people were uncertain. They weren’t sure. They were scared. Companies didn’t want to invest, because they didn’t know what the future might bring. As the picture became clearer, and people became more positive, that money got allocated, and the market really took off. I suspect that the end of the Brexit period, or once this uncertainty goes away, that’s going to happen again. I just don’t know when it’s going to happen. It could be March or it could roll on. Seeing it so many times with the Politicians in the EU, and on general issues of the day, they will kick the can down the road. They’ve already negotiated this sort of extension period, transition period with the EU, that hasn’t been mentioned much over the last few weeks, few months. It all seems to be up March at the moment. They may kick the can down the road further. I’m not sure that’s a great thing, because certainty and actually, taking the bitter pills, swallowing it, taking the hit and getting on, will then create more growth quicker. We’ll repair ourselves quicker and get on the road to recovery faster. But at that point, things are really going to change. Because of all these, the market is softer. I’m getting off with more deals. I’m generally finding that compared to 2012/2013 maybe 2014, there is more stuff out there. I’m not saying there are loads out there. It’s, not sort of like, everything is on sale like, it was in 2008, 2009 and 2010. But there is more out there, which is clearly a positive thing. Something that is easier than it was in 2008, 2009 and 2010 is lending. I’m getting off with money at lower rates than I had been at any point in the last 10 years, or in fact, at any point that I have been since I’ve been investing in property in the last 15 years. That’s both development, finance, and long-term finance, or commercial finance, or maybe even buy-to-lets finance. We went to funding circle. It wasn’t for property loan, but it was for business loan about 3 weeks ago. They offered us £240,000 unsecured, not secured against the property, not secured against any other asset at 2.7 percent per annum. We got off with that 3 weeks ago. I’m getting good offers from Lloyds, Metro Bank. I just got a call set up this morning with NatWest, RBS. So, these guys are lending, and in much greater volumes than they have been at any point in the last 10 years, and at better rates. They’ve got a bigger appetite. So, that should probably tell you a few things about, where they see this residential property investment market going. Clearly, if you’re buying retail units as I am and converting them into residential, but we’re often keeping some retails on the ground floor. They’re more careful about the retail investments on the ground floor for obvious reasons. But for me, that’s probably one of the reasons I’m buying that sort of stuff, because the market is so negative about retail currently. I was at a big champagne reception on Thursday evening with one of the biggest London agents. A lot of people there. These are bigger agents dealing with the bigger retail, industrial, bigger office developments and investments. Most of the market participants were there. The general theme in the room, was, if you look at across the three commercial sectors, or let’s include residential as well, you look at retail has gone very, very negative in the last 6-12 months. We did a big sale. We sold quite a large unit towards the end of last year. We sold at a high 6 percent range. Since then the market has got a lot more negative. The person that I spoke to, who manage that sale for me said, we’re selling the same building today, it will be worth 10 to 15 percent less. That’s about half a million pounds on that sale. So, that market has changed quite significantly. Industrial is going like the clappers, very, very positive. The main reason for that, is that, these trade counters and the smaller businesses and builders, they’re all firing away. So, those kinds of properties are increasing in value. You won’t find anything around here in terms of industrial with a good amount of hard standing. There is a big shortage for that sort of stock. Would I want to be buying industrial units for the moment? Well, if I had a good tenant, I had a good use, maybe. But it’s probably not the best time to be speculatively investing in that sort of stuff, because everybody is on it. Everybody thinks it’s great. Everyone thinks that Amazon needs a new shed. Online is taking over the world, and therefore, these industrial units are the only things to buy. Look a bit like residential was in 2013/2013/2014. I kept looking at them all, thinking, well yeah, it is great, but what’s changed? Nothing has changed. The rents are as they were. In fact, they’ve gone up since. Since people had become more negative about residential property. I’m not sure that the masses are always right about this stuff, or maybe, they are right. They are right about what they want to do. But maybe, you should be looking at it, doing something different. The office property market is clearly very strong as well. Lots of us have taken those offices and converted them into residential. We had Kate Barker over to Peterborough, and presented the Council only a couple of weeks ago, about all the offices that have gone out of the town centre. She was saying that they should be applying to remove the Permitted Development Rights from office buildings, because there isn’t enough office base in Peterborough now. But what I think it’s done, is, create demand for office space in the outer areas of a lot of these towns, including where we are. So, that’s got to be positive. If you look at commercial property, the 3 sectors are quite different. If you look at the impact that Brexit might have on commercial versus residential, I think the office market will probably remain strong, because it can be converted into residential property, most of it, if it’s not listed, and if it’s not in an exclusion zone. Retail probably will continue to get hit. The main reason for that, is, it’s in this slow-motion crash, created by online, and Amazon, and John Lewis now, and all these quite strong online retailers, ASOS, eBay there. All of those guys with strong web presence sites are hitting retail. I think the fact that Sterling has depreciated, i.e., the Pound has dropped against the Euro and the US Dollar, and against the Chinese Yuan, means that, goods that we’re importing cost that much more. A load of retailers had gone through change, because of that. Brexit has created all these. Therefore, they have to amend their pricing structure accordingly. Those that have done, have done quite well. B&M seemed to have done that. Poundworld not so much. Maybe, Poundstretcher haven’t reacted as quickly to that, and therefore, they’re struggling. Poundworld has actually gone bust. I think Poundland, they’re one of our tenants. They’re probably not doing as well as maybe, they could have been. So, there’s definitely been an impact on retail, because of Brexit. I think it will continue to be that way. Residential property as we’ve mentioned, I think, will carry on. Generally, it’s quite stable. People need somewhere to live. They’re more impacted by how many landlords are buying. As soon as the sentiment increases, more landlords are buying. Rental probably, not go up as much. Prices will increase. If you look at the larger sheds and factories space, lots of those guys aren’t investing, because of Brexit currently. If you think of the car manufacturers especially, they have to import goods. They’re worried about goods coming over the border, and suddenly having to apply duty to them. Maybe, they can’t get their goods as quickly, or their raw materials, or their components for the cars over as quickly. So, there’s just in time, manufacturing process can’t take place as efficiently and as smoothly. Lots of those guys are concerned about that. The sort of disruption that’s going to cause. They’re not investing. I suspect you’ll see a bit of a whoosh when they come back to the market. It’s in Europe interest to do a deal. They are clearly being belligerent. You saw Donald Tusk and Jean Claude Juncker make some pretty negative comments over the last couple of weeks especially, in relation to Chequers. They’re saying that the deal that’s on the table at the moment, won’t working. They’re using these soundbites. What they’re really doing, is, speaking to their own populous. They’re speaking to the people in their countries so that they continue to be perceived as giving the UK a tough time, not letting them/us off the hook easily, making us pay the Brexit Bill, which by the way, this 40, 50, 60 million, whatever we’re supposedly going to pay, I don’t know that’s going to be paid, unless the deal is done. So, remember, that’s still being held there in abeyance, subject to a good deal being struck for us. So, it is in their interest to do a deal. We don’t really know what’s going on in the background. They may be saying well, actually, most of this plan that you’ve got on the table at the moment, is good, is positive, and we’re willing to work with it. But we can’t necessarily say that publicly. They’re maybe, just being completely belligerent. They’re maybe, saying to Dominic Raab and the others that are negotiating. They’re maybe just saying well, this is not going to work. You’re not going to get your deal. You better get that to the drawing board. As part of their negotiating stance, you probably remember with Greece and with Cyprus, the European Union took those guys right to the why. They took it to the 11th hour. They pushed, and pushed, and pushed, would not do a deal. It looked like, it was going to be Armageddon in those countries. You know, Greece, all the people, well, they did get, and end up on the streets. All the banking system was going to grind to a halt. People were going to stop getting paid. It was going to be anarchy. The whole financial system there was going to collapse. You’ve probably remembered that. Of course, at the last minute, the European Central Bank and the EU, and they’ve dragged Germany in. They did a deal at the last minute. Similar happened in Cyprus. All through this sort of financial crises, all through these periods since the 2008 crash, we’ve seen the EU time and time again, take it right to the last minute. I’m not saying they’re necessarily going to do a deal in March, but I suspect they will soften right at the last minute. There will be some sort of concession made. Clearly, there have to be concessions made on both sides. They say, we haven’t made enough concessions. We haven’t prepared enough. We’re not talking specifically about what we want, and maybe, that is true. But I suspect, even if we said to them, right, we’ll give you €100 billion, we’ll stop. We’ll allow complete free trade. We’ll assent to all of your rules on goods and services, and free trades. We’ll continue and will be completely subservient to the ECJ, the European Court of Justice. I suspect, if we had accepted all of that, and let them have their way, they’d still want to push it right to the 11th hour, just to look strong in front of the rest of their own paymasters and the people that vote for them in their own countries. Because that is actually who they’re talking to. They’re not necessarily talking to us. Well, maybe, they’re talking to The Sunday and The Daily Mail so that they can create another angry headline to get everyone worked up, and sell a few more newspapers. So, we’re back to this common theme, which I’ve talked about a lot in the past, which is, we’ve got an issue. It’s a bit of a crises rolling. The newspapers have got something to get us all worked up about. It’s on the TV nightly, or weekend. Robert Peston is always talking about it. It’s also in the Andrew Marr Show. So, it’s got our concentration. It’s there. It’s in front of mind. It’s selling lots of media. That doesn’t mean that it makes investments bad. It doesn’t mean we should necessarily change our behaviour. What we should be looking at, we should be taking a 20-year view. We should be looking at the fundamentals of property investing. Are there enough people there to rent these properties, if we’re going to hold them long term? Absolutely yes! Is that likely to continue in the future? Absolutely yes! Are we at a point now, where less people are buying, both for investment and probably, for development as well? Absolutely yes! So, that more than any of the previous 2 things we’ve mentioned makes it more likely, or means that you should be even more interested in buying at the moment, and negotiating hard, because people are probably a little bit more negotiable, where they have to sell. So, if it’s repossession, or maybe, there’s a receiver instructed, or there’s a forced sale maybe, an Institution or Council or someone like that is transacting. They can be great deals, because they’re probably having to do more deals. That’s not to say the auction market isn’t busy at the moment. There aren’t deals being done. Of course, there are. It’s nothing like 2008/2009. But I think, if the market is taking a breather, I think it’s offering some opportunities. I think you should grasp those opportunities, and just negotiate a little bit harder, if you worried about property is dropping next year. They could do. They could come off a little bit. Where I live in Stanford, even the Asians are admitting that the market has dropped by around 5 percent. I mean Stanford rarely drops. It rarely drops tall, because there are just always demand. These kinds of properties, these sorts of conservation area and the listed buildings are all just wonderful place to live in. They’re in such limited band. This is all the crap they’re used to just about in 2008, 2009 and 2010 when the market actually did drop 25 percent. It’s probably 30 percent to actually get the deal done. They have been spouting about. But even they’re admitting that the prices had probably come off 5 percent in the last year. No great drama. But we’re seeing a little bit of correction, a slight correction. Peterborough has certainly gone soft as well. I think that offers you a great opportunity, and especially, for those guys, if you’re listening or reading to this in Australia, or South Africa, or maybe you’re in China, or in the Far East, in Singapore or where I used to live in Indonesia, or wherever you are abroad, your currency is worth that much more than our Pound Sterling in comparison to what it was, say, 3 years ago. So, let’s say, you’re getting 20-30 percent reduction, because Sterling has dropped so much, and your currency is that much stronger against it. You’re also in London probably getting a 15-20 percent reduction, because the market’s fallen by that much. You’re probably getting a 50 percent reduction in the price of property in Central London. In somewhere like, Peterborough or the Midlands, you’re probably getting 30, 35 maybe 40 percent reduction over 3 years ago. In the North of England, where areas are still growing actually, because they’re at the end of the rollercoaster, and they’re probably still rising. They haven’t quite got to the top yet. Obviously, Mayfair sort of down here at the front of the rollercoaster. Peterborough may be there, just gone over the top, and then still on its way up maybe, the North of England and back here, where in Northern Ireland, or maybe the Outer Hebrides. So, you guys that are abroad have got a bit of an opportunity. There’s also a bit of window for you guys as well. This weekend, Theresa May announced that she was going to introduce enhanced stamp duty or increased stamp duty for foreign purchases who don’t pay tax in the United Kingdom. So, she’s saying that there’s going to be one percent or 3 percent surcharge on buying properties. Well, that’s been announced. I don’t think, it’s been introduced yet. I haven’t even seen the detail around it. So, I think you’ve got a bit of a window there to buy property now, before that stamp duty gets applied, and before we get some certainty around this Brexit issue. Because I’m pretty sure that Sterling once there’s certainty, Sterling will start to strengthen again. It may happen very, very quickly. The property market will strengthen. There will be more buyers. The market will return to growth as it always has done in the long run, and in the medium term, medium to long-term over the last 1,000 years. Hope that’s been useful. 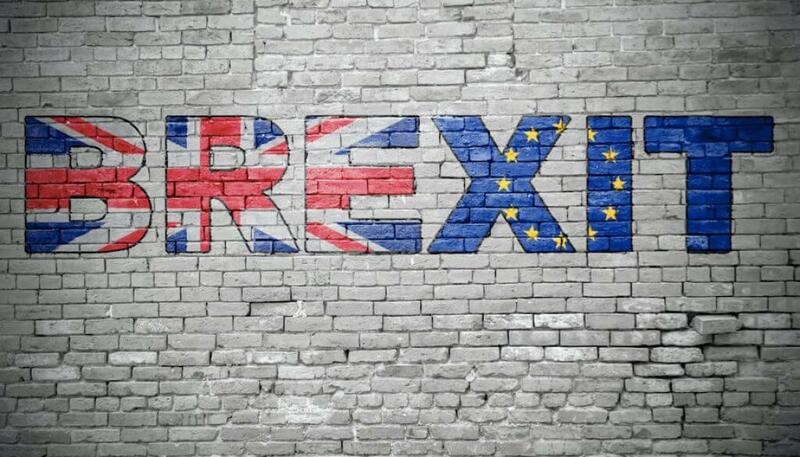 Hope that’s given you some good insight into what Brexit is likely to mean for your property investing future, for your property investing business, and how you should be reacting to it over the coming months and years.